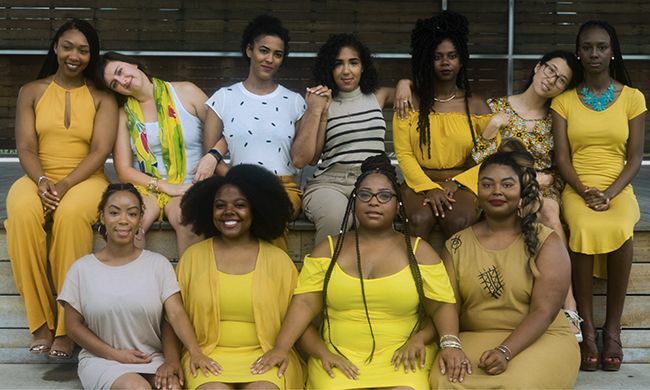 With photoshoots that have occurred in over 10 cities, including LA, Chicago, Denver, San Francisco, Atlanta, & The Port of Spain in Trinidad, Houston joined a list of many creative and empowering individuals all coming together to manifest a yellow and gold vision of inclusivity. Our day began with a round of introductions as each woman described their career, their aspirations, and their reasoning on why participating in this movement was important to them. 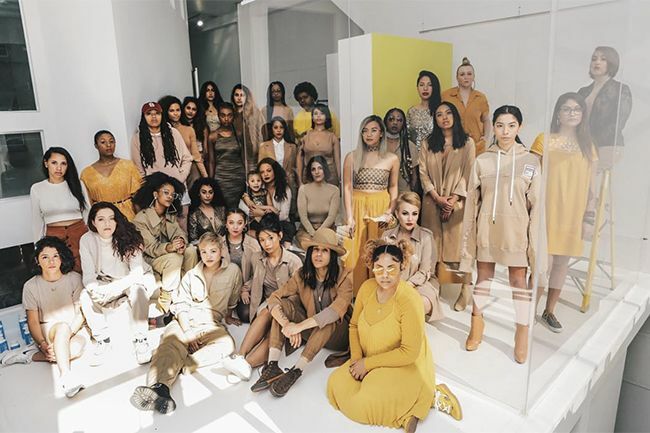 In our company we had a floral designer, bloggers, podcast hosts, a videographer, a businesswoman, and a physical therapist, with each representing various racial backgrounds. Naturally Curly provided social media coverage for the day, along with gifting a product to each participant at the culmination of the shoot. 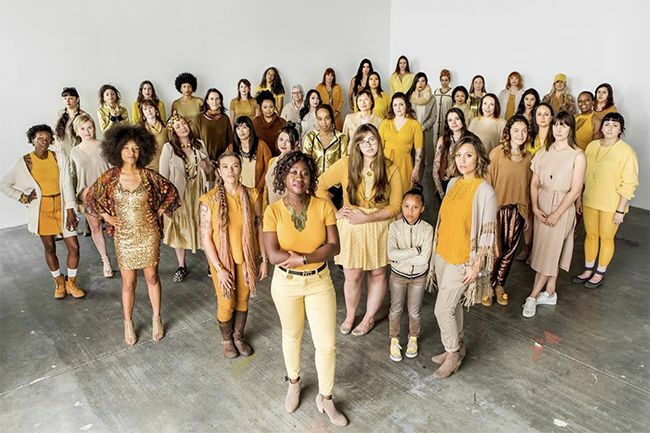 “I wanted to be a part of something that connected me to women everywhere, something global, that left room for each group to grow and thrive and fight in ways that makes sense for them”, said Nyla, the producer of the event, on her perspective for facilitating the Houston branch of this shoot. I, as an attendee of the event and one of the women photographed, felt a deep sense of pride in my womanhood that day. To be apart of a community where often the value of a woman, especially a woman of color, is not equal to my counterparts, can be detrimental to the self-esteem and success of women like me. 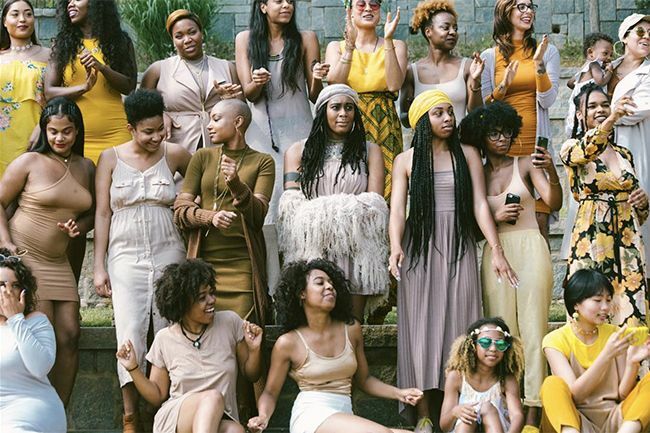 Through the showcasing of unity, and having each women hold space together, there is a continual need to prove to the world why women matter. While our work is not over, we are not afraid to say that we are the backbones of life, and through diversity and the embrace of each of our unique selves, we create and change worlds. Thank you to Nyla for including me in this story, and Thank you to Danie for telling the Houston journey so eloquently. 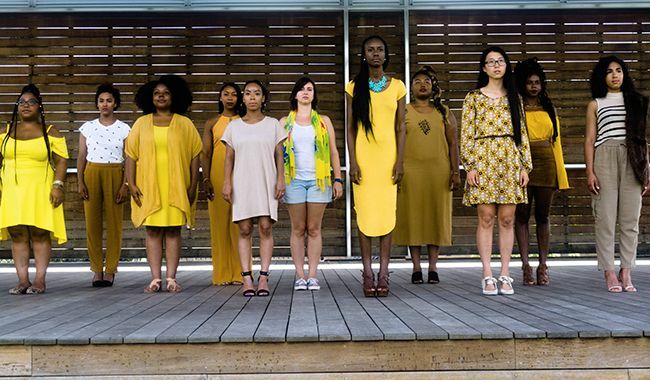 To host a Unity in Color shoot near you, you can sign your city up here !